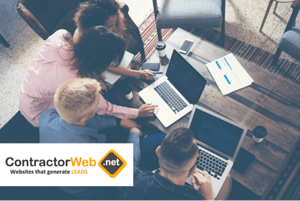 When considering the best HVAC marketing strategies for your heating and cooling business, there’s one thing for sure – it’s all about the web! I won’t bore you with the latest statistics from Google and I probably don’t event need to convince you, becuase you likely already know that consumers quickly turn to the web to find new products and services these days. The contractor industry is no different. “Just Google It” is a pretty common phrase these days and it certianly applies when the furnace breaks down and a customer doesn’t have a heating and cooling guy on hand. 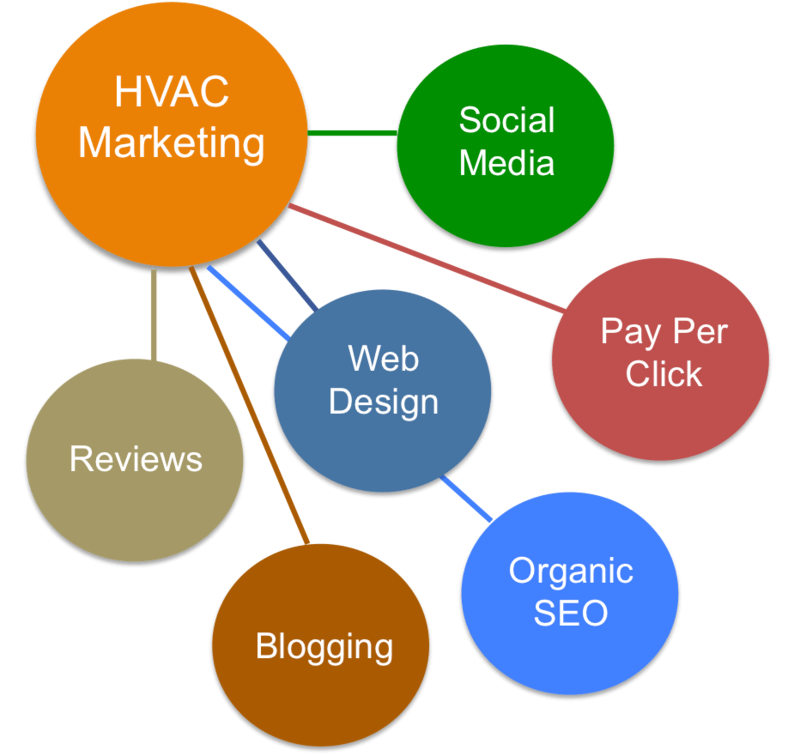 Although this blog post will focus on the best “online” hvac marketing strategy (because it is the most important), that does not mean that the offline methods do not work. I’m not recommending that you throw an ad in the hard copy yellow pages, but there are certainly other means of HVAC advertising that can compliment your online efforts such as direct mail, post cards, radio time, clipper magazines, etc. And of course nothing is more powerful than Word of Mouth, but that is limited to the mouths that can spread the good word about your air conditioning and heating business of course. 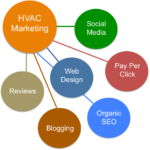 There are many tactics that will drive a successful online marketing strategy for your heating and air conditioning business. We are going to touch on a few of the major ones. This is not exhaustive, but should give you an idea on where to focus and where to start. A professional firm specializing in HVAC marketing, such as ContractorWeb.net, will be able to handle 100% of these efforts for you. A professionally designed and SEO optimized website is a prerequisite to this entire strategy. Not a WIX website, homegrown website or website built by your nephew. You need a website built with professional code that is responsive design (mobile friendly), loads fast, not build with a cheesy HVAC website template, is capable of dynamic content, has a blogging platform, and much, much more. 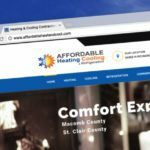 Your HVAC website design is the backbone of this entire strategy and going cheap here will derail everything and prevent success. Organic SEO is the non-paid form of search engine optimization. It is the normal search engine results that is not an ad. This type of SEO takes time to build…a minimum of 3 – 6 months to gain page 1 rankings in most markets. If a company approaches you and tells you otherwise, run fast, and I mean FAST! 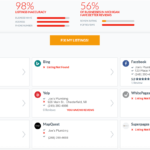 There are many spammy and unethical SEO companies out there taking advantage of customers. If there’s one company that you don’t want to mess with it is Google – and hiring a spammy SEO company can provide short-term temporary gains, with very costly long-term results that are difficult to overcome. What are some of the components of Organic SEO? There is so much more to organic SEO, the list could go on and on…and some of the latter tactics discussed here are parts of a solid SEO strategy. Reviews for your heating and cooling business are a valuable asset. Today, consumers have a wealth of information right in their pocket. Once a potential customer finds your business, they can then easily check out your reviews prior to hiring you. Not only will good reviews put trust in the consumers mind, it can also push your business higher in the rankings. The number of reviews a business has impacts their organic ranking directly within the search results. This also holds true for your Google My Business / Maps listings. 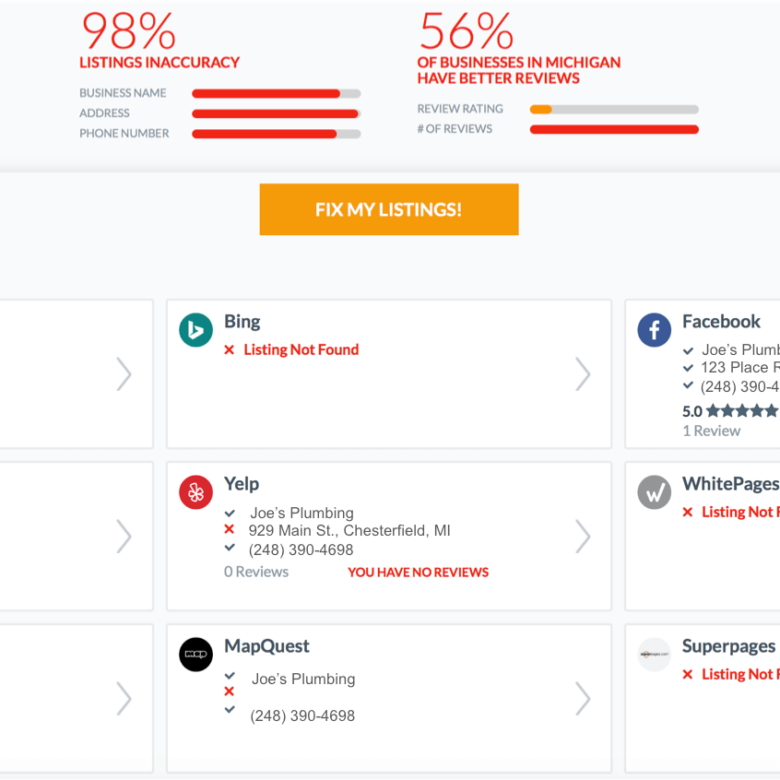 You can also rank higher directly within review sites such as Yelp, Angies List and more. Whether you love it or hate it, social media is here to stay. HVAC Social Media can help grow your business in several areas. To start, it’s another area that will impact your overall organic SEO. 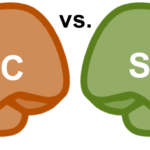 The more likes, shares, re-tweets, +1s, and followers that you receive, the more signals that the search engine receives indicating that you are important. At a bare minimum, your business should have at least 3 social media profiles set up. If you are going to limit it to three, go with Facebook, Instagram and Google Plus. Social Media allows you to engage with your customers and potential customers by reminding them that you exist for top of mind brand awareness, inform them of promotions, and keep them posted on current news and events. Social Media is also a good way to influence word of mouth with a network of friend that can see each others activities. Most of you may have heard about this blogging thing…it may sound foreign to some, but it’s a relatively impactful tool. Can you succeed without it? Yes. Does it help? Yes. Is it critical? No. 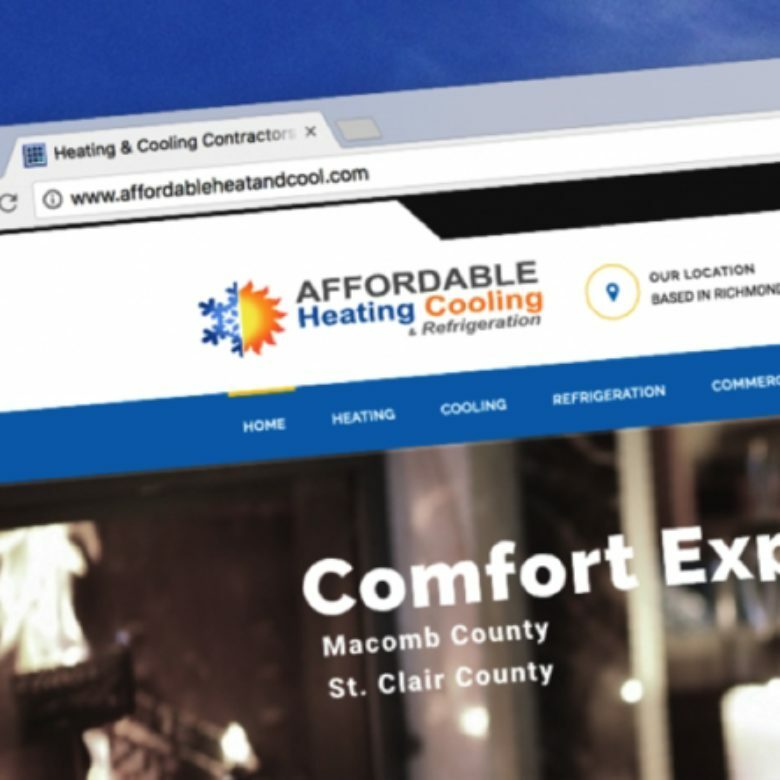 For a Heating and Cooling company, blogging is a nice compliment to your website and overall SEO strategy. It contributes to fresh content. It can help to grab reader interest. It can encourage people to “share” your content, whether in the form of social media or backlinking. Our team includes blogging as a component in many of our heating and clients SEO plan, but it is not always a focal point. Blogging once per day is not necessary. But a couple articles per month on tips and tricks or industry updates are a perfect way to add fresh content to your website. PPC has mixed reviews in the contractor world both good and bad. When it’s bad, it’s because it was not done correctly. When it’s good, it’s because they hired a professional that had experience in the PPC world. Pay Per Click is an excellent way to start generating HVAC leads immediately. PPC marketing is the paid search results / ads that you see at the top and bottom of the page in the search results. It can be turned on and off at any time. It is not a time phased approach like organic SEO. You can literally see results and have your phone ringing within 24 hours, when done correctly. Is it easy? No. Is it a waste of money? Only if done poorly. Google Adwords and Pay Per Click for HVAC Contractors is the perfect means to produce a steady flow of leads up front while the organic SEO builds up overtime. In many cases, the PPC budget is higher up front, and reduced overtime as the other components of their strategy develops. If you’re looking for a professional company that can take your heating and cooling business to the next level, contact ContractorWeb today! Our team will employ the right recipe for online success and drive HVAC leads to your company and help you grow!